A new generation stand mixer that is 25 percent lighter and 20 percent smaller compared to the Artisan tilt head Mixers. Fits perfectly in a small size kitchen and delivers extraordinary results. The Mini makes 5 dozen cookies with simpilicity with no comprise on performance. Comes in a range of beautiful colours to suit your style and kitchen. It includes Flat beater, stainless steel whire whisk, dough hook and 3.3L stainless steel bowl. The KitchenAid 5KSM3311XAHT Mixer was added to the Blenders & Mixers category in June 2017. 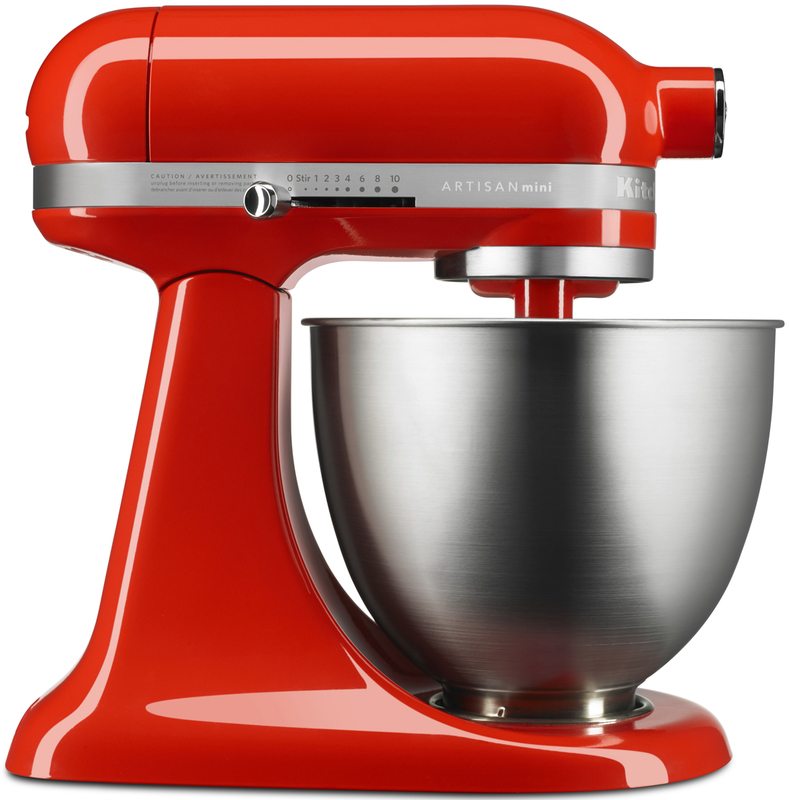 The lowest price GetPrice has found for the KitchenAid 5KSM3311XAHT Mixer in Australia is $719.00 from House. Other merchants who stock it are House.